We’d like to introduce you to Tam Reid, our epic Forest Road ambassador. Having embarked on his motorbike journey at the age of 16, Tam is now part of Carronvalley MCC. 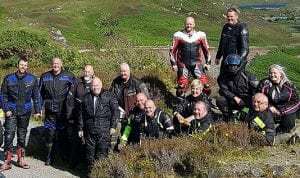 The Falkirk-based biking community has grown to over 1000 members hosting friendly weekend runs and sharing experiences and knowledge over many European road trips. 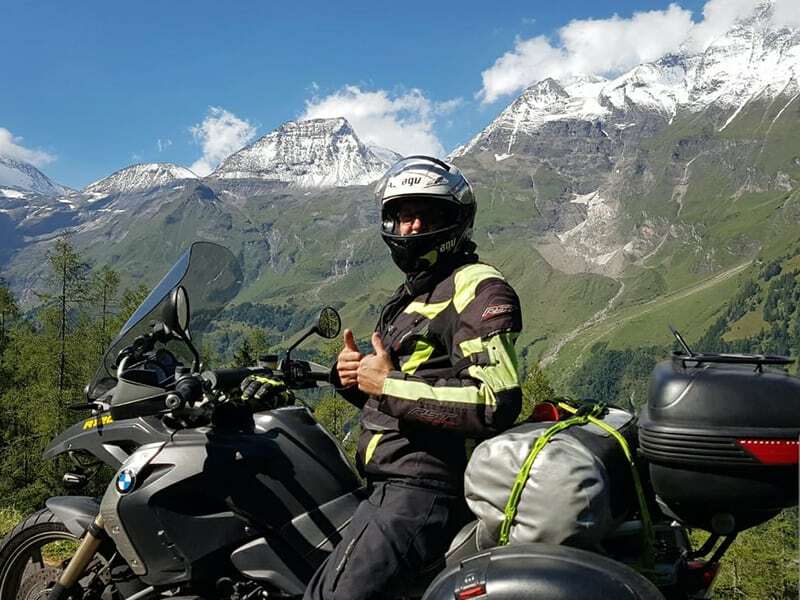 An expert rider of our Forest Road, here’s Tam’s top tips on how to enjoy that glorious stretch from North Ballachulish to Glencoe along Loch Leven. Carron Valley MCC was formed in 2005. Similar to other biking groups it started as seven friends touring together and grew from there. We had completed our first trip to Lake Geneva and when we came back there was a great deal of interest in what we had experienced so we set up an official club where tips and advice could be shared in a community atmosphere. Thanks to social media, we are now a large touring club who explore Europe annually, enjoy weekends away and embark on regular Sunday runs. We also host our charity run every year in aid of Children’s Hospices Across Scotland (CHAS) where we organise a run on Easter Sunday from the Falkirk Wheel to Rachel House in Kinross. To date we’ve managed to raise almost £80,000 for the charity, something that we’re really proud of. We also organise a Santa run near Christmas to raise funds for the Forth Valley Hospital children’s ward and a variety of local charities. Why are you a fan of the LFDO Forest Road? Now, this is a route I’ve travelled many a year in my youth after being inspired by Niall Mackenzie (former Scottish professional motorcycle road racer) who used to enjoy that route. The area is steeped in history from the Jacobite uprising to the building of the Blackwater Dam nearby which led to the formation of the village of Kinlochleven. Records show that the building of the dam caused quite a few fatalities, not just through construction, but because the only drinking establishment was at the Kings House Hotel at the start of Glencoe where several perished on the walk home via the Devils Staircase. The road itself is like a rollercoaster on the north side of the loch, while on the south the tarmac is smooth with some tight corners. Most of the corners however are easy going so you can lean in and practise your cornering skills… twisties all the way! Scotland, apart from its obvious beauty, has a diverse road system. One minute you can be riding on a nice, smooth A-road taking in the scenery, and the next you can be on a remote single-track B-road with very little traffic and a view on every corner. The landscape in parts is as glorious as any I’ve seen in the Alps, it’s unbeatable. What are the hotspots along the LFDO Forest Road? 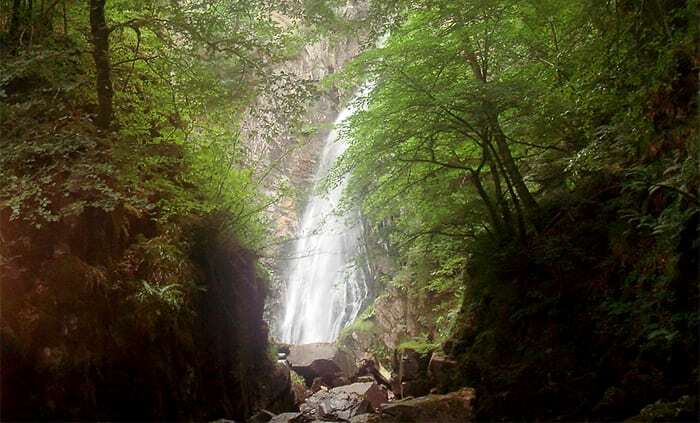 A hotspot for me on this route is the Grey Mare’s Tail in Kinlochleven: a large waterfall which is an easy walk from the car park. It’s definitely worth stopping for! There is also a stunning view of Loch Leven from the north road and at Aonach Eagach ridge, I’d definitely recommend stopping off to enjoy these natural beauties. What are your top tips for enjoying the road? Take this route at a nice steady pace and enjoy the corners. Due to the lack of traffic the road surface is super smooth from Kinlochleven to Glencoe. The scenery along the way is pretty spectacular so make sure you allow time on your travels to stop off and experience it. What should you prepare for before embarking on a long ride? Before you head out on a long ride it’s vital to carry out some simple, but essential, bike checks. I’d advise bikers to check the tyre condition and pressure, and take the correct clothing for the conditions. Always carry waterproofs with you in Scotland! These will keep you warm as well as dry. Just prepare for the worst and you won’t go far wrong. What are your best practice tips for tackling left and right hand bends? If you ride wide it means that you’ve hit the corner too quick. Look where you want to go, not by moving your eyes but by pointing your nose to where you want to go. What are your best practice tips whilst performing an overtake? Keep your distance from the vehicle in front, don’t tailgate, and get the best view from left or right. Once these checks have been completed, speed and timing are now important to consider. Always check your mirrors and do your life saver before making your move. Watch out for junctions and farm tracks, and don’t ride to close to the vehicle on your overtake and don’t cut in to soon. Be careful and be prepared to abort if something happens in front e.g. if a car puts an indicator on. What safety advice do have for when out on two wheels? Wear appropriate gear and buy the best you can afford. Ride defensively, follow the rules and make sure you and your bike are fit for the road. 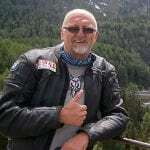 Have you completed any motorbike safety training or courses? I’ve completed a couple of police assessments and a Biker Down course in the past which taught me some of the best tips for riding safely. They definitely improved my riding ability and I’d advise all bikers to get involved with any safety courses if they get the opportunity, they’re time spent well. The landscape in parts is as glorious as any I’ve seen in the Alps, it’s unbeatable.